Payment for consignments can be carried out through offline or online modes, as per convenience of the clients. We assure you any method that is agreed upon by you and the company will be safe. The assistance of our sophisticated packaging system and skilled personnel, we are able to meet the standard as well as customized packaging requirements of the clients with ease. 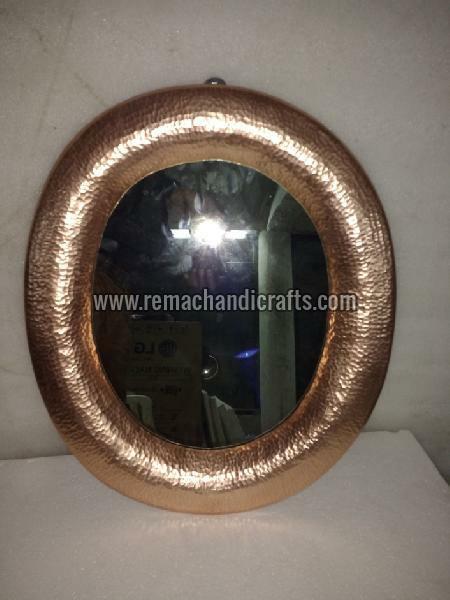 Our 6007 Oval Shaped Hammered Copper Mirror is largely appreciated for its sturdy make and durability.